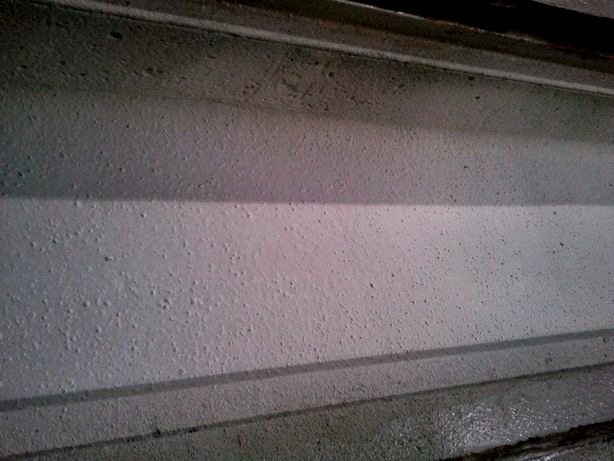 to a damaged concrete structure by painting roll. 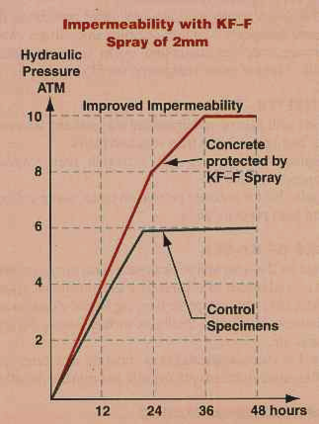 KALMATRON® KF-F layer applied to a clinker kiln foundation with a surface temperature of 185F or 85C. 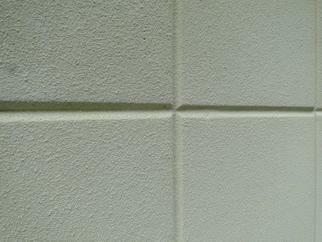 KALMATRON® KF-F layer applied on the rocky wall of a light house repaired with KF-SEA concrete. KF-F was also prepared by using only sea water. and highly sticky to any surface of structure. structures. 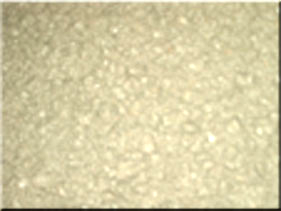 Provides superficial density with highest resistance to chemical and environmental corrosions. and freeze-thaw cycles. 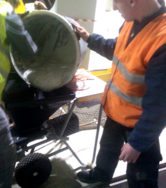 Applicable in dry, hot, cold and damp environments by brush or spray. 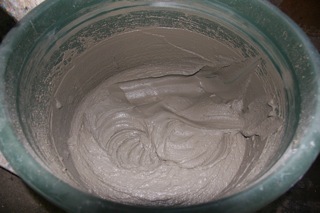 Add four parts of KF-F to one part of water in a volume ratio and mix for 5 minutes by electric drill-mixer. 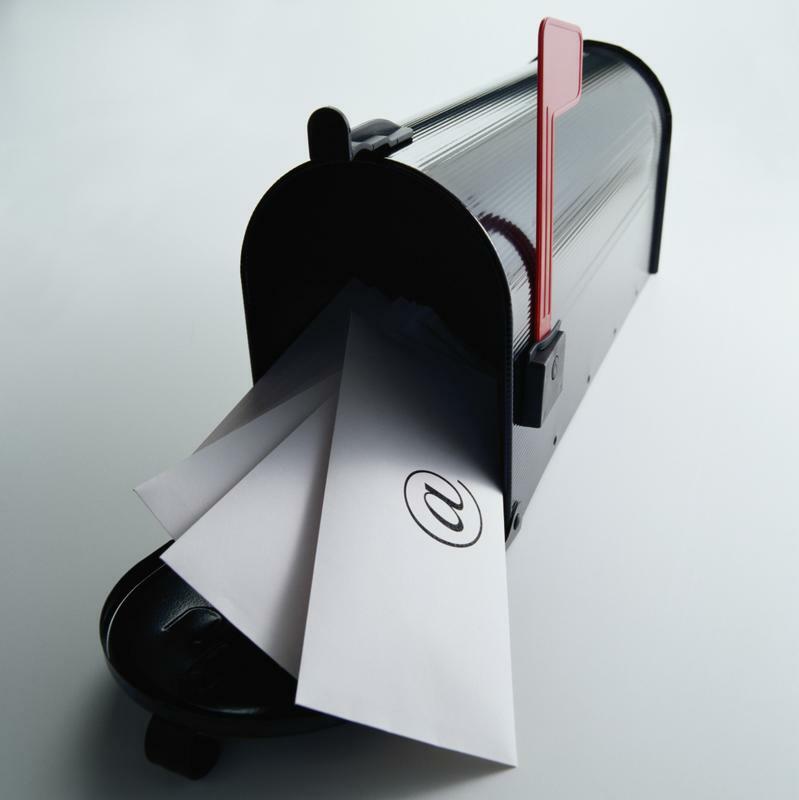 with the KALMATRON® KF-G or well steamed and washed with acid-water solution. a layer from 1 mm to 2 mm. It is a necessity for very dry conditions only: hose down with water after 12 hours. 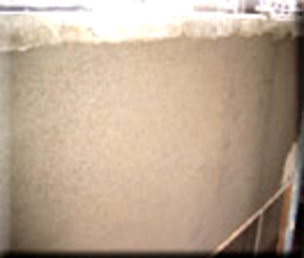 renovation of cracked concrete structures. 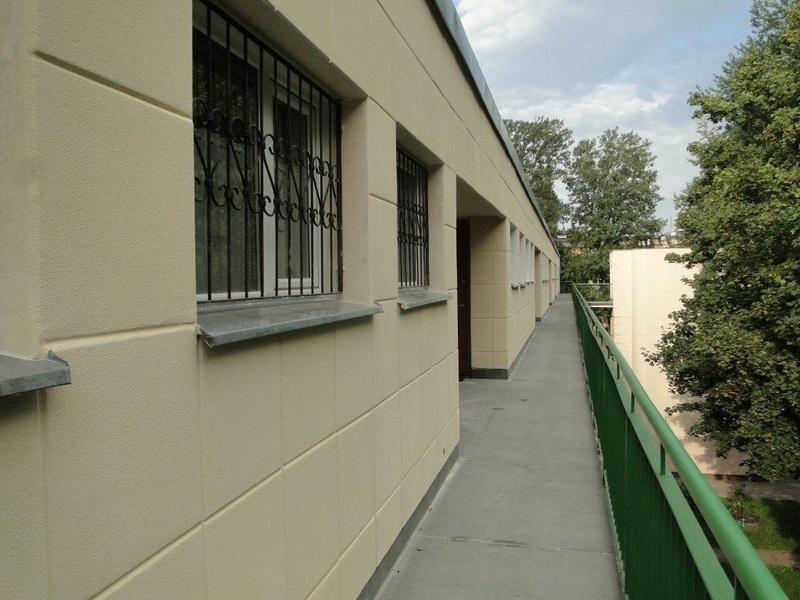 Relined aged stucco by KF-F on apartment building is impermeable to the water and absolutely resistant to the micro biological contaminations. applied to aged stuccoed wall by the mortar gun. 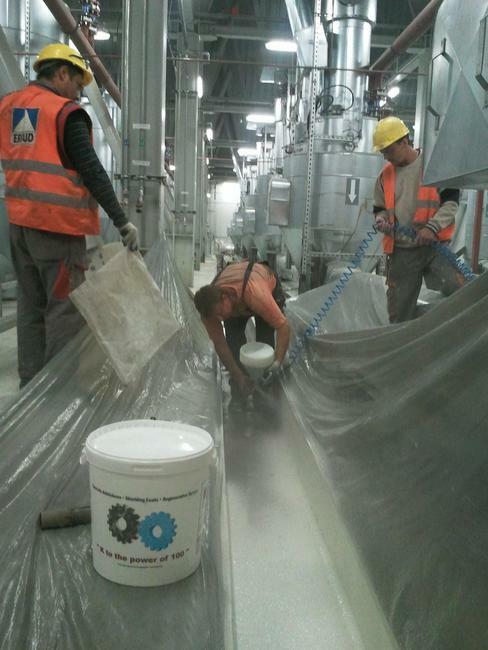 Isolation of the canals on nuclear plant by spray of KALMATRON® KF-F layer resulted in a solid glassy surface without post hardening defects. - Provides passivating of exposed rebar from rusting. - Stops vapor transmission right after application. - The best for preservation of abandoned structures. 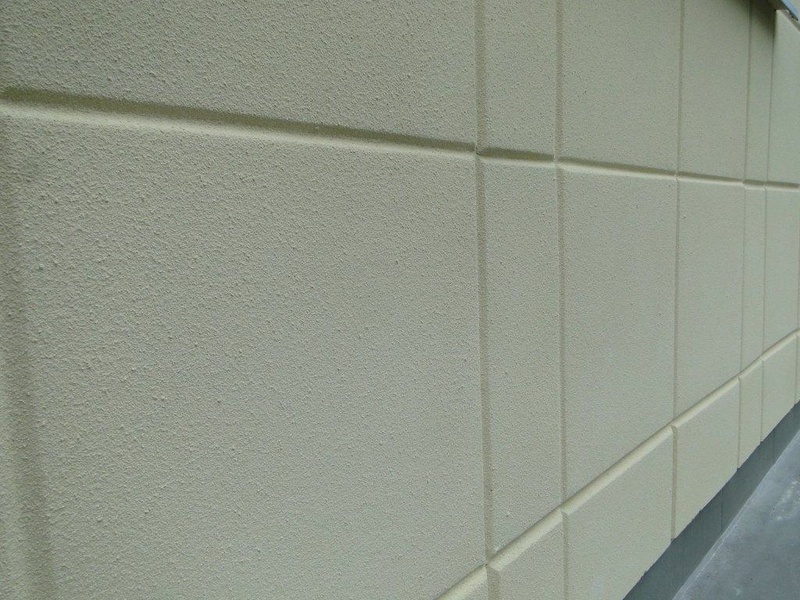 seepage, and resurfaces damp building structures. 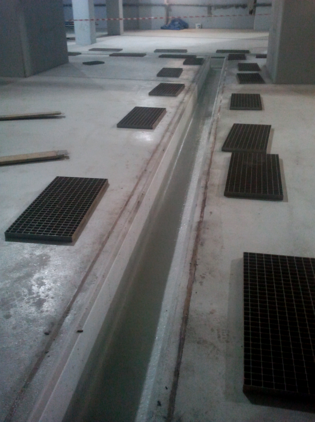 pipes per square unit of inner walls. is stable to the attacks of hot neurons by its glassy and thin layer with Coefficient of Linear Expansion equal to the underneath concrete.